Life with a dog comes with many joys, including the bond you form with your furry companion. However, unless you live on a large, isolated farm, you most likely cannot allow your dog to run free through the streets as he pleases. Between busy roads and strict dog bite state laws, you don’t want your dog to roam far from your yard. 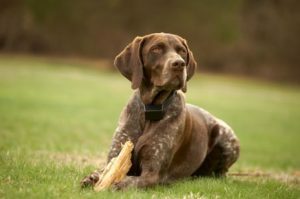 You might be tempted to install an invisible fence that will keep your dog in a controlled area without causing the need for a physical fence, but invisible fences have many downsides you may need to know. First and foremost, invisible fences utilize electric current to shock your dog if he crosses his underground boundary. Though it may be effective, think of the pain it causes your dog each time he accidentally steps too far. Since the shock has to be fairly painful in order to make a statement, your dog does experience discomfort. This may be enough for you to say no to an invisible fence from the start. If your dog sees a friend in the street or wants to greet your children as they get off the bus, he might try to run and cross his boundary. Of course, he’ll receive a shock. If it happens enough, he may form a false and negative association between the sting of his shock and this effort to socialize. This can have very negative behavior consequences. More than anything, invisible fences don’t offer any true guarantee. Plenty of dogs find ways to outsmart their invisible fence by jumping over it or finding the deepest, darkest corner of the yard where the shock isn’t too strong. You also run the risk of a malfunctioning system, interference, and simple system breakdowns. The better option is to select a real vinyl, aluminum, or wooden fence in place of an invisible fence. By working with West Florida Fence in Tampa, you can design a fence that is guaranteed to keep your dog safely in your yard without any problems. The fence installed by West Florida Fence can also add value to your property, help your outdoor space look more attractive, and provide you with some much needed privacy. Call today at (813) 251-5883 to learn more!